Collected messages from numerous sources, of our returned Master Teacher. But again, your presumption is incorrect. Dead or alive, you will be lifted off this orb, for this orb will be evacuated. MAJOR POLE SHIFT Ashtar: Your planet is in imminent crisis, of cataclysmic upheavals because of disruptions in the magnetic field. A major pole shift will cause massive changes and destruction to the surface of the planet, including great tidal waves that will lash your coastlines, great earthquakes causing severe shifting of entire tectonic plates, massive volcanic eruptions over widespread areas, windstorms of unprecedented velocities, and abrupt climate changes in many areas. Portions of your continents will split and sink, while other portions will be thrusted upwards. NUCLEAR WAR Ashtar: It will not be permitted except on a limited basis contained within your confines. Nuclear detonations not only kill the human body, but also severely damage the soul energy matter and inflict tremendous trauma to that soul entity. …We have been granted permission to stop all nuclear devices destined for our realms of space beyond one-hundred fifty miles from your surface. PULVERIZATION OF THE PLANET Hatonn: You now have particle-beam weapons that can pulverize your planet in 15 minutes. Ashtar: Your governments are hostile. We are convinced that there is deliberate determination to extinguish humanity and turn your planet into a burned out cinder or a gaseous ball of energy. Resource: Phoenix Journal 4, ‘SPIRAL TO ECONOMIC DISASTER” LIFEBOAT MEASURES — IF YOU ACT NOW’, Chapter 8, Page 65-66. Hatonn: [RM: Hatonn is speaking of Earth’s imminent passage into the Great Barrier, a 2,000 year period called “The Age of Light”, also referred to as the Photon belt] …Suddenly you’re going to hit a big null time; yes you are. But that Great Barrier, and that’s what its called–the Great Barrier, is scheduled somewhere down the line and you are moving at a given speed; its scheduled to hit you, depending on what you do, between 2010 and 2013. Resource: Audio cassette tape entitled “7-26-92 – Hatonn #3”. Let us speak today of practical things. Ye ones spend of your time pondering and predicting those things which remain only “speculation” to your minds. You wonder what the Christ meant here and what the Christ meant there, etc. The time has arrived, chelas, that if you ask Me, the Christ, “What meaning has this?” I shall be most happy to respond. Let us clear of a few matters firstly, however. The majority of ones on your dense placement who claim to be the “body” (church) of God and Christians are NOT. Further, there are great penalties which shall be meted forth to the shepherds of the “churches” which have misled and misdirected. Ye who have set yourselves up as “teachers” and teach wrongly bear great price upon thy heads. When one moves from teaching the pure LAWS OF THE CREATION into teaching of the PERCEIVED and MISPRONOUNCED LAWS OF VOTED-UPON LAWS OF SOME GOD OR OTHER, AS ESTABLISHED BY THE DOCTRINE OF ‘MAN’, HE IS IN MOST DRASTIC CIRCUMSTANCE, FOR HE HAS PULLED BOTH HIMSELF AND HIS BRETHREN DOWN. THE LAWS OF CREATION ARE MOST SIMPLISTIC AND ANY DEVIATION THEREFROM IS “BREAKING” THE LAW. THE LAWS OF CREATION ARE NOT VOTED UPON BY COMMITTEE NOR AMENDMENTS TO THE CONSTITUTION. AND, BROTHERS, IT IS THROUGH THE ADHERENCE TO THE LAWS OF CREATION, NOT THE LAWS OF A CHURCH DOCTRINE, WHICH WILL GET YOU TO LIFT OFF. But again, your presumption is incorrect. Dead or alive, you will be lifted off this orb, for this orb will be evacuated. It is the manner and placement which really interests you. The darkest son of Satan is going to be lifted off, “raptured” if you please, but he surely won’t be in the liking and enjoyment thereof. Father God Wakan (Sacred), with The Creation, has prepared a place for the most fallen brethren and transitions (transportations) are already well underway of both Mine ones and Satan’s church. Further, the Astral planes of your planet are all but empty except for the few souls who are caught in the inability of “living” ones to release of them for one reason or another. None are taken without free will choice of movement. This is why I most earnestly plead with you to release, in thy hearts, those ones who have moved from the density of earth ‘visible’ format unto the invisible dimensions that they can be placed in the proper ‘safe’ location for their security. There is every probability that man will unleash nuclear confrontation; also, there will be spillage of radioactive materials from your foolish power stations in upheaval of earth fractionating. DEATH OF BODY BY NUCLEAR IMPACT DAMAGES THE VERY ESSENCE OF SOUL STRUCTURE. THEREFORE, SOULS WHO ARE CAUGHT IN YOUR ATMOSPHERE AT SUCH TIME STAND TO BE BADLY DAMAGED, AND REMEMBER, DEAR ONES, THESE INCARNATE ENERGIES HAVE NO CONTROL OF THEMSELVES AT PASSAGE FROM HUMAN FORMAT INTO ETHEREAL FREQUENCY, IF THEY CHANGE DIMENSION IN CONFUSION. YOU PRECIOUS CHILDREN HAVE SO MUCH TO LEARN. Oh you don’t want to go? Well, so be it. You wish to “be counted out” for you have your “future” planned? I am speaking of your future. Upon this orb it is going to be a rather nasty “future”, if at all. I sit high enough above thee that I can see both ends of the roadway. I also most surely reassure you that if you choose not to “lift-off” ye will be left to experience whatever comes down that roadway! SO BE IT! It is your future that we speak of here and of which I spoke of a blink of an eye ago–two thousand years, I believe you count of it. I said, “Let not your heart be troubled; believe in God, believe in The Creation and also in Me. In My Father’s house are many dwelling places; if it were not so, I would have told you; for I go to prepare a place for you. And if I go and prepare a place for you, I will come again, and receive you to Myself; that where I am, there you may be also.” So be it and Selah. I did mine portion, did you do yours? To avoid confusion we will refer to the event when those who believe on Me will mysteriously “meet me” in the air somewhere. Let us call it the big “pick up”; well, I would wish it would be “big”, but most will still be trying to figure out what it means and miss the ship–space ship! I told you long ago, very important facts about the “pick up”. THERE MUST BE CHANGES IN YOUR DENSE BODIES OF FLESH AND BLOOD IN ORDER TO WITHSTAND THE VIBRATIONAL CHANGES OF TRAVELING IN A BEAM OF LIGHT. SIMPLE PHYSICS, FRIENDS. SIMPLE PHYSICS. THEREFORE, WE WORK WITH YE ONES OF MINE CONSTANTLY; DAY AND NIGHT TO CHANGE AND UPGRADE THOSE FREQUENCIES. THOSE WHO DECIDE AT THE HOUR TWELVE AT POINT OF LIFT-OFF TO GO WITH US, RUN GREAT RISK OF PHYSICAL DAMAGE, PROBABLY SEPARATION OF EARTH HUMAN FORMAT INTO ESSENCE. MINE EFFORT IS TO PULL YOU OFF INTACT. BUT FOR THAT, YOU MUST PREPARE YOURSELVES. For a year and a half I have been transporting Dharma back and forth in human format and it is still most hard on her. You pick up air bubbles in your audio system, pressure compression in your gastro-intestinal system and all sorts of things happen within your fuel lines (circulatory system). God is “unlimited”, but you are most “limited”. So be it and Selah. How do you get on the training program? You go within where God dwells and ask permission. If you are sincere, He hands you over to My circuit and you get immediately placed on my “lift off” charter book and together, we start training. You see, your God mind can do anything and all things–but it must know what it is supposed to be doing. Well, in this instance, it is supposed to be getting you vibrationally changed that you might make it nicely through a beam of light. One of the largest portions of that place which is prepared for you for transportation is a “hospital” unit and much help is standing by on both Earth and aboard to help the late comers mend their wounds. You ones want to make mystical hocus pocus of everything–nay, nay–soul essence is light, so it goes most naturally; the physical flesh and bone body has to be trained by the soul mind itself to respond on command. It is like this, dear hearts, you ones who turn away these writings in the name of “it cannot be”, are throwing away your transition instruction sheet. Did you not believe you would be given your transition instruction? Who did you think would bring or disperse them? BETTER LOOK AGAIN–THAT OLD “I DON’T KNOW” WON’T CUT IT AT “PICK UP”, I ASSURE YOU UNEQUIVOCALLY. FURTHER, IF IT WERE NOT COMING ALONG “SOON” YE WOULD NOT BE GETTING OF IT NOW. THIS ALSO MEANS, DEAR HEARTS, THAT SOME OF ME AND MINE WILL BE COMING ALONG THAT YOU MIGHT REASSURE YOURSELVES THAT WE ARE “REAL” AND CAN GET WITH THE PROGRAM, SO BE IT. DON’T BE CAUGHT DEAD (SLEEPING) WHEN WE SHOW UP, BELOVED ONES, BE ALIVE (AWAKE) AND ON THY TOES IN ALERTNESS, PLEASE. I WALK IN BEAUTY AND GLORY: COME WALK WITH ME, PLEASE FOR I HAVE RESERVED A PLACE FOR YOU IF YOU WILL BUT ACCEPT OF THE TICKET–ESCROW IS ABOUT TO CLOSE! The great “mystery” of all this is exactly what it says by definition: “mystery” means: something which has not been revealed before. Well, it is now being revealed, therefore, it will no longer be a mystery if you will stop preaching such nonsense as the devil angels wish to have you teach. No more mysteries–conscious, physical reality is going to fall all over you, if you reach out and take it–it will not be shoved down thy throats like a dose of medicine. The trumpet blast? Oh yes, it will be and you are about ready for the “last” one. Gabriel, is most attached to Me and to ye. More attached than many of you are willing to believe. Head Archangel with the timing clock awaiting the countdown of God when man has gone the last foolish mile and The Creation is ready to swing into full action. You better be staying awake for the “time” segment will be most tiny–no waiting at that point for you to be in indecision and pondering–fifteen minutes, by your clocks! Half an hour at the maximum. There will be more than one opportunity, but those on the first migration are the wisest, for they are the ones who will not scorch their toesies. Those of the last migration will have endured or fallen, in the tribulation and chaos. So be it, beloved of Me–check your watches and set thy timers. I suggest you get thy training programs under way. You will be given opportunity but you must accept it and stop of the denial. You will be given proof, but it will likewise be discounted, so you who await ME better check all things out very carefully, VERY CAREFULLY INDEED. THIS LITTLE SCRIBE HAS NAUGHT TO GAIN BY BRINGING THIS OUT AND JUST ABOUT EVERYTHING EARTHLY TO LOSE. SHE HAS BEEN AROUND YOUR PLACE FOR ALMOST SIXTY YEARS, SO SHE IS NOT A LITTLE CHILD PLAYING MIND GAMES. SO BE IT AND SELAH; LET HIM WHO HAS EARS TO HEAR–HEAR, AND HIM WHO HAS EYES TO SEE–SEE! ON THESE WORDS I PLACE MY SEAL. Let us close this portion, Dharma, as I am being summoned. Your place is in most critical physical circumstance. Your Middle Eastern Holy lands are about to detonate. May God walk with you for such a time is ahead if you heed ME not. Mine very BEING weeps for Man and I plead with you to hear Me for I have thy place of safety if ye will but choose of it. IN REVERENCE AND ADORATION OF SOLEM ALUM SOLEM; I AM. I AM THINE ELDER BROTHER COME TO TAKE YOU TO SAFETY AND BRING YOU HOME. SO BE IT FOR SO IT IS WRITTEN. AMEN, ADONAI, SALU–AHO. “Those who come IN MY Name go from heart, sealing them against that day and marking them for deliverance and safety from all that would destroy. “So, I shall call unto those who follow Me, to listen to the voices of these who come from others worlds and harden not your hearts against their words nor practices. Rather, lift up LOVE UNTO THEM AND DESIRE FOR THEIR COMING, FOR THEY ARE THE ANGELS OF THE HARVEST! I am labeled “Ashtar” by the Central Sun Hierarchy, for that is the planet of my original manifestation. …I am an etheric being. …I have been around for a very, very long time. …I serve a very high involvement as a member of the Councils scattered throughout the Universal Sector, serving in an advisory capacity at strategic levels of intergalactic affairs. I share responsibility with Esu Immanuel (Jesus) Sananda for the airborne division of the Brotherhood of Light. The Christ Teacher of this galaxy is my Beloved Commander in Chief, and His Word is my Law. To Him I have pledged my service. I am but a leader chosen by Him to fulfill the Program of Light for Earth Transition through the flight commands of the Great Brotherhood. Part of that mission is to return the Master to your planet and collect His people. I commanded the ship which bore his soul energy to your place for His Earth Experience some two thousand years prior to present calendar. I will speak now about our mission. Your planet is in imminent crisis, of cataclysmic upheavals because of disruptions in the magnetic field. Vibration havoc is all about you–let us call it vibrational terrorism. You are plagued by all the prophetic realizations of the ending great cycle. Your world is overflowed with hatred one to another, wars, murder and your nuclear experiments have all but eliminated any balance in your vortices. There is already a slow slippage of your poles and it will continue to tilt further on its axis. This will cause massive changes and destruction to the surface of your planet through resulting earthquakes, tidal waves, volcanoes and windstorms of unprecedented velocities. We are granted limited intercession to allow for “holding” in our energy networks, your planet in somewhat, stable support. We were, however, required to withdraw the ring of energy generators (ships) from your mid belt in your 1988, March. At the same time our commanders were required to remove constant stabilization of your major fault systems. Local and isolated intervention is allowed on emergency status as with your San Andreas and other localized slippage points. This is to allow arrangements for placing foundations of survival placements outside the coastal areas. It is most complicated indeed. Further, it is not given to me the right to speak of these things in this document. (You have heard it before that the earth is a living organism, and this is true. What you may not be aware of is, at this point in her evolution, Earth Shan is involved in a cleansing and birthing process.) Let us say that the world fetus is grown unto birthing. The surrounding container walls have thinned. The uterine structure is stressed to bursting, the cervix is thinned and effacing. You are no longer resting in security and safety. Further, you have just about depleted all the available life sustaining substances within your container–the birthing is at hand! We have revealed ourselves to many various individuals on the planet. We attend your high level summit meetings. We have thousands of representatives walking, working and living among you NOW! Some of you may recognize them, most will not until you come into harmony of circuitry. All ones in The Alliance for Peace from the Intergalactic Council are forbidden to interfere in the affairs of the souls of any planet and their evolution without the approval of the government(s) of that planet. …THE ONLY EXCEPTION IS WHEN THE LAWS OF THE UNIVERSE ARE VIOLATED, WE MAY INTERFERE WITH THE OTHER MEMBERS OF THE UNIVERSE. One example is nuclear powered war. It will not be permitted except on a limited basis contained within your confines. Nuclear detonations not only kill the human body, but also severely damage the soul energy matter and inflict tremendous trauma to that soul entity. As a matter of fact, along with your games comes, now, the ability to KILL SOUL MATTER. Atomic war is one of the three cataclysms which will trigger your evacuation from the planet Earth! We have worked with your government(s) in an effort to assist through advanced technology, but we are continually met with hostility. We are often fired upon with your silly missiles. …It happens frequently, for we have been granted permission to stop all nuclear devices destined for our realms of space beyond one-hundred fifty miles from your surface. You play with toys which can now annihilate your planet in all manner of ways, from detonation chain reaction to thrusting into a different orbit and redefinement of your polar axis. Some years past, in your sequence, your nuclear physicists penetrated the “Book of Knowledge” and discovered how to explode the atom. The knowledge was reduced to atrocious results, but that was not your pitiful downfall. Your demise as a functioning planet was written with the explosion of the hydrogen element. This element is life-giving, along with some five other elements in the air you breathe, in the water you drink, in the composition of your physical self. In much of your material planet is this life giving atomic substance, hydrogen. Efforts in this field of science have been most successful, to the extent that they are not content to rest on their accolades of a power beyond their use; not content with the entire destruction of an entire city at a time. They must have something even more destructive. Well, now they have it! They now have the ability to extinguish life on your planet. They are actually destroying a life-giving element of the Creative Intelligence, tinkering with a formula they do not comprehend. We have made every effort to be heard and accepted by your government, for it would appear man’s desire is to continue war on this planet, Shan. We are convinced that there is deliberate determination to extinguish humanity and turn your planet into a burned out cinder or a gaseous ball of energy. It has happened elsewhere; we are, thereby, determined it will not happen again. Our missions are peaceful and have been since early input in your late 1940’s and early 50’s. We have maintained this contact from that calendar timing. The governments on your planet have conceded that we are of a higher intelligence. They must also concede that we are of a higher authority. We have come forth to fulfill the destiny of this planet which is to experience a short period of “cleansing” and then to usher in a new existence. We are here to lift off the surface, yes, and the inner world, during this period of cleansing, those souls who are walking in the Light on Earth and choose to move with us through the time of transition. We have millions of ships stationed in the skies above your planet, ready to instantly lift you off at the first warning of your planet’s beginning to tilt on its axis. When this occurs, we have only a very short time segment in which we can lift you from the surface before great tidal waves will lash your coastlines. These waves can be as deep as five miles or more. They will subsequently cover much of your land masses. Your melting polar ice caps are contributing greatly to the unequal balance of the orb itself. Along with these changes, there will be great earthquakes which will feed from one suture line (fault line) to the next to cause severe shifting of entire tectonic plates. As these splits and grindings occur, you will have massive volcanic eruptions over widespread areas of previously dormant cones. In portions near your nuclear testing grounds, you will probably experience spillage of radioactive material into your atmosphere. You will also experience radiation leakage from your nuclear power plants as they are disrupted by land changes. Portions of your continents will split and sink, and in other areas, this will cause thrusting upward of other masses. You have had plenty of news about winds, etc. that will accompany these upheavals. There will be upheavals and earthquakes for instance, that will not trigger evacuation, so I will speak of cataclysmic proportions. We are very experienced in the evacuation of populations of planets! It would be grand if this were not necessary to be true, but alas, it is not even all that uncommon for many various reasons. We will stick to yours and what you might expect. We expect, and are practiced and prepared to complete the evacuation of Earth of the souls of Light in some fifteen minutes, regardless of numbers. Further, we will rescue the souls of Light first. (Not a bad idea to get on that Light List.) Our computers are massive and self updating. Each entity is entered into the system and all changes, to the minute details, are constantly updated. The computers are locked onto the coordinates as designated by your grid ley lines and vortex intersections. At the first indication that there may be need to evacuate, the computers lock onto the location of every energy entity instantly, no matter where might be the location of the human form. Don’t concern yourself with that portion; just make sure you keep the signals attuned on an ongoing basis. After the souls of Light have been evacuated, then the children will ALL, be lifted off. The children are considered to be nonaccountable, so they will be evacuated to special ships to be cared for until they can be reunited with their parents or placed for indefinite care and tending. We have ones well trained for the specific task of handling the children and their trauma. Many may be put into sleep for a period of time to help them overcome their fear and anxiety. Our computer system is far, far beyond anything ever used thus far on Earth in this age. It can locate parents of specific children wherever they may be and notify one another of safety or status. THE CHILDREN WILL BE LIFTED TO SAFETY DURING THE EVACUATION, SO DO NOT GIVE UNDUE THOUGHT TO THEM. DO NOT SEEK TO UNITE BEFORE LIFT OFF–TEND YOURSELF AND WE WILL TEND THE CONFUSION. After the evacuation of the children, the invitation will be extended to all remaining souls on the planet to join us. However, this will be for only a very, very short time period, perhaps another fifteen minutes or so. There is abundant space for all ones, but because the atmosphere by that elapsed amount of time will be filled with fire, flying debris, poisonous smoke, and because the magnetic field of your planet will be disturbed, we will have to leave your atmosphere very quickly or we, also, with our craft will perish. THEREFORE, HE WHO STEPS INTO OUR LEVITATION BEAMS FIRST WILL BE LIFTED FIRST. ANY HESITATION ON YOUR PART WOULD MEAN THE END OF YOUR THIRD DIMENSIONAL EXISTENCE YOU CALL THE PHYSICAL BODY. This brings us to the most serious and difficult part of the evacuation. As mentioned earlier, souls of Light have a higher vibration frequency than do those who are more closely “tied” to the Earth and earth concepts and actions. Well, since our levitation beams, which will be lifting you off the surface of the planet, are very close to the same thing as your electrical charges as you recognize them, those of low vibrational frequency may not be able to withstand the high frequency of the levitation beams without departing the third dimensional body. We will get as close as possible so the beam time span is lessened, but it must still be from quite a high altitude. When a beam ship lands in “normal” times to invite ones aboard, it is customary to land the craft or hover quite close to your surface. Then our own ones will accompany any entity aboard. It will not be thusly done at evacuation lift-off. If the soul energy departs the third-dimensional body, there may be opportunity for resuscitation and reconnection, or the soul will be released to be housed in appropriate facilities according to agreement with God. At any rate, you would not be left to experience the havoc on your planet’s surface. If you do not decide to step into the levitation beams to be lifted up, you might be one of the few who survive the “cleansing” and changes. However, during this period of cleansing, there will be great changes in climate, in land masses, for the poles of the planet will have a new orientation. This alone will create untold hardship for the survivors. In some areas of specific location it may be possible to have guides and assistants return or in some instances, remain as a support system. Let us make it very clear as to that which is most detrimental to a successful lift-off. A child we can render unconscious and simply attune the harmonics system. An adult of consenting age must make a choice. ANY RESPONSE OF “FEAR” LOWERS YOUR FREQUENCY OF VIBRATION, THUS MAKING YOU LESS COMPATIBLE WITH THE LEVITATION BEAM FREQUENCIES. THEREFORE, ABOVE ALL ELSE, REMAIN CALM; IF YOU CANNOT GET INTO THE BEAM FOR ANY REASON–REMAIN CALM, WE CAN MOVE THE BEAM. DO NOT PANIC. KNOW THAT YOU ARE IN EXPERT HANDS, HANDS WHICH HAVE EXTENSIVE EXPERIENCE IN EVACUATION OF PLANETS. WE KNOW OF THAT WHICH WE ARE ABOUT. I CANNOT OVEREMPHASIZE THIS: REMAIN CALM! RELAX! DO NOT PANIC WHEN YOU STEP INTO OUR LEVITATION BEAM OR WHEN IT IS FOCUSED ON YOU. DO NOT WAVE OR THRUST YOUR BODY ABOUT–THE CONNECTION IS MADE AT ENERGY LEVEL AND MOTION OF THE PHYSICAL BODY IS A GREAT DISTRACTION. After lift-off, you will be taxied by the shuttle craft to one of our “mother ships” which are anchored even higher above the planet. There, you will be taken care of, depending on your circumstance. Some of you will need medical care, others will feel quite wonderful, but hyperexited and agitated. Some will be frantic over family members, etc. We have expert medical staff who will be there to treat you with highly advanced equipment. Some will simply be placed into a state of sleep until vital signs regain normal status. You will be fed and housed until such time as transfer elsewhere is advisable. Some of you will be taken to cities on other planets to be trained in advanced technology before being returned to the planet Earth to start rebuilding. This will all be determined by counseling or prearrangement. Children will be reunited with parents and families, etc. Your wondrously beautiful planet is destined to be a most beautiful star within the universe. For long she has waited to take her place of glory. She shall be a beauteous planet of Light. Here, you can rejoin the remainder of the Universe in brotherly love and fellowship within the Lighted Brotherhood of Man with God the Creator. Do not scoff at these words, people of Earth. We are sent forth and come willingly, and in love of you as our brothers in a great time of distress. As surely as the sun shines from the east to the west, so shall these things shortly come to pass. Let us be prepared, please. The cataclysms will begin abruptly without warning! Everything will happen so fast, you will not have time to THINK. THINK CAREFULLY ON THESE THINGS NOW AND EFFORT TO COME INTO BALANCE BEFORE IT GROWS TOO LATE FOR CHOICE. THERE WILL BE ONES RUNNING ABOUT IN TOTAL CONFUSION, IN PAIN, INJURED. IT WILL BE AS IF THE WHOLE OF THE UNIVERSE IS FALLING IN UPON YOU. MUCH OF WHAT YOU PERCEIVE AS YOUR UNIVERSE WILL BE SO DOING, I ASSURE YOU. SO WHAT WILL YOU DO? YOU WILL THEN REMAIN TOTALLY CALM AND WITHOUT FEAR AND AWAIT THE LIGHT BEAMS. THEN STEP INTO THE LEVITATION BEAMS OR REMAIN STATIONERY THAT WE MIGHT AFFIX ONTO YOU. THE BEAMS FLOW FROM THE UNDERNEATH CENTER OF THE CRAFT AND FRANKLY, IT CAN BE MUCH LIKE A HUGE SUCTION CLEANER WHEREBY ALL HAPPENS VERY QUICKLY. I suggest you do whatever you can to allow us to come into your sectors without hostility. It appears all probabilities of avoiding this untoward event are past. We see no changes in magnitude of perceptions of such proportions that would alter the course of events. So be it, we will continue to work diligently with that which we are given. Let us speak a bit of the administering of this program. As Commander for this solar system and its various volunteer units from many areas of space, it is my responsibility to coordinate efforts of the many fleets as they touch into the mission of Shan. When these various factions of force are not thus involved, then, of course, they are self-regulatory and guided under their own supervision. They only come under the jurisdiction of the Interplanetary Confederation if they are here on a specific assignment, correlated to the overall Hierarchical mission to the planet. Let me assure you that I understand the doubts regarding credibility–that is a superb success of our dark fragments causing ridicule and outrageous press. It is for you to look beyond and into Truth. It is why you of our co-workers must not be other than professional and credible. Continue as you are, except clean up your attitudes. You will get nowhere by “JUST BEING”. No one of our busy workers needs another iota of responsibility–tend of yourselves. …THERE IS NOTHING ABOUT US THAT IS HARD TO UNDERSTAND. GOD NEEDS ONLY THEE AND HE. ALL ELSE IS BAGGAGE YOU WILL LEAVE BEHIND AT ALL CIRCUMSTANCE. WE HAVE SUPPLIES FOR YOU. WE WILL TAKE YOUR ANIMALS AND FEATHERED PETS AND PLACE THEM IN SAFETY. WHEN GOD PREPARES A PLACE FOR YOU, HE DOES A MOST EFFICIENT JOB OF IT. ALL THE REMAINDER OF THIS “NEW AGE” NONSENSE IS EXACTLY THAT–NONSENSE. AND WILL MOST SURELY HINDER YOUR PROGRESS. SO BE IT! Man must choose his own pathway–individual by individual and then as a whole. He will either join the Christ forces or the dark forces; there is no in-between. Mankind must be informed of the events to come. Much of what happens in the physical sense will be dependent upon how well man can come into understanding and where he will place his energy input. It is apparent at this moment that most are moving into the dark recesses. That, however, can be changed most quickly and much relief brought to bear. The tremendous battle is for the minds of men on earth. We are come from the etheric realms in order to help to prepare you and others like you on your plane for the days of change ahead. This tie must remain and it must be ever strengthened. We of Space are bound to no one but the Christ, our Lord, Commander of all Light, Wisdom and Love. You must be aware of all the negativity of man around you; now you must be aware of that negation which is being released through the fourth dimension which will burst forth to confound and confront the mind and body of man upon the third dimension. The masses are not prepared for this in any measure. It will rest upon your shoulders to bring as much understanding as is possible to those you know who will be stricken with panic and terror. This is not the lower astral sphere of which I speak; this is a far more gruesome aspect of life than is that aspect of astral placement. The knowledge of the Christ-Light and the protection it gives is of major importance, as it is the only real protection a third dimension being has against attack. Doors of matter with all the locks you can conjure mean nothing to this rampaging evil, that in itself knows no laws. As for the Ancient of Ancients, they have known the Christed path though it might be called by other labels. Ye shall not escape by claiming ignorance–IT IS CONCEPT. You will call in the protection of the Higher Light Source to protect and surround you as a plasmic shield ten thousand times a day if required. Our help is directly balanced with your own effort–past that we cannot step; so do not be found asleep at your switches. This is a WARNING to all to whom this message will contact. I speak with URGENCY to all who stand with the Lighted Forces in this greatest of all confrontations. The time for piddling about is coming to a halt. The lower levels of the astral plane have been swept clean. This cleansing will cause sharp upswings in crime and perversion of all types and natures. Confusion and fear shall rule man of earth. The masses will need to rearrange energy fields, and they do not, by nature, know how to do this or even that a rebalance must take place. Your position within the Light is only as secure as is your desire to remain therein, so cling to the Light, and remember that we here beside you on whatever path you may find yourself tomorrow or a year from tomorrow, as long as your goal is Spiritual understanding and knowledge in Wisdom and Truth. You must be in the awareness of your Higher Wisdom and Truth and your Higher Self in order to reap the rewards of our participation. Millions will fail to recognize of their plight even after you have informed them. ‘Tis their birthright of free-will choice. Take the hands of those who ask; pass the ones who deny and weep not, for their choice is but their own. You must not wallow in the deprivation of their refusal to see nor hear. You must learn to release of those ones unto their own itinerary, ’tis not of your business. I see thee with head bent that thy words be truth; they can be naught but truth for ye have yielded unto me. I AM ATON OF LIGHT. I AM THY SOURCE, CHILD. I HAVE SENT FORTH MINE SONS AND ANGELS UNTO THEE AND I COME FORTH UNTO THEE, LITTLE CHILDREN OF THE UNIVERSE, THAT YOU UNDERSTAND THY TRANSITION. …Within the time which is allotted unto the Earth which is in the present part wherein she is, there shall be a great and mighty change upon her surface and within her bowels. She is a living, breathing creation who has been badly used. It is not in anger she throws thee from her body, but rather, she is in the throes of death from thee. She has carried her burdens in honor and is released therefrom. …YE CHOOSE TO DENY AND WAIT FOR “PROOF”? SO BE IT–WAIT. HOWEVER, YE WHO CHOOSE TO TAKE EXCEPTION TO MY WARNINGS AS UNCOMFORTABLE AND PRODDING, TAKE HEED–STOP OF THY WHINING FOR THIS WAS THINE AGREEMENT WITH ME! I CARE NOT ONE WHIT WHETHER OF NOT YE LIKE OF MY METHODS OR OF MY SCRIBES. I AM NOT PLEASED WITH YOUR ACTIONS, I WEEP OVER THAT WHICH I HAVE PLACED INTO CREATION THAT HAS DEGRADED AND DEBAUCHED MINE OTHER WONDROUS AND BALANCED ENTITIES. IT IS THY GIFT OF FREEDOM OF CHOICE, FOR I GAVE THAT TOO, UNTO YOU, BUT YE SHALL BEAR THE DIFFICULT ROAD IF YE HEED NOT THE CALL THAT MAKES OF THINE WAY, EASY AND BEAUTEOUS. Look about thee and see that some things might be in the fitting. For ye have been told that when it is near the fulfilling of these things, it shall be that there shall be great shipwrecks, and the ships of the air and the ships of the sea shall go down. ARE THEY NOT DOING SO? And the fish of the sea shall seek new places wherein to spawn. ARE THEY NOT DOING SO, FROM THY POLLUTION AND FUEL SPILLINGS? AND THERE SHALL APPEAR UPON THE EARTH, NEW PEOPLE WHICH ARE NOT INDIGENOUS OF THE EARTH, AND THAT WHICH HAS NOT BEEN SEEN BEFORE. YE HAD BETTER TAKE NOTE: STOP OF THY DENIAL AND WELCOME THY SIBORS, CHELAS–YE ARE IN GRAVE CIRCUMSTANCE AND I HAVE SENT MINE OTHER CHILDREN OF THE UNIVERSE AND THE VERY ANGELS OF MY REALMS TO ASSIST YE. REFUSE THEM IF YE CHOOSE BUT KNOW ‘TIS YOU WHO HAVE REFUSED. WALK WITH MY CHILDREN AND THY NEW SIBORS AND YE SHALL WALK IN GLORY. THEY ARE COME TO SHOW YOU THE WAY; MY SONS HAVE COME AGAIN TO RECLAIM MINE HOUSES. The very Earth Source has been seized with convulsions within her entrails and she has belched forth that which is from within her interior, and these things shall increase and increase. She has been in such great pain for such a great time, for thy Mother Earth that she is, is not without great travail. Oh, and such is the pity of it, for man has been unmindful of her, and as she has nurtured him, fed him, clothed him and mothered him, he has remained more and more unmindful of her; he has been unto her a carnal and lecherous son. I RECOGNIZE, IN HONOR, THOSE WHO HAVE CHANGED OF THEIR LASCIVIOUS WAYS AND NOW REACH OUT TO ASSIST. BEWARE, HOWEVER, OF THOSE WHO FORM “MOVEMENTS” IN FALSE INTENT. KNOW OF THAT WHICH YE CHOOSE PARTICIPATION. Man has been much like the salamanders and moles who burrow within her body and has taken and taken from her and given nothing in return. He is blind in his licentiousness, for he has had no thought given of that which has nursed him and healed of his injuries and infirmities. So be it that he has but added suffering unto insults which have been given unto the Mother Earth wherein man has had his birth into the physical parts of me. And therein is great commiseration of him which is in darkness. They see not with the eyes which are blindfolded, but they see only that which is unreal, unholy and filled with greed, for I am whole and I can see that which is wondrously complete, and I have not want for I am unto myself all that of which I have need. In this time of casting off, I rejoice that I shall make myself into newness for I represent the Creation of Earth, for I become one with my creations and ye have forgotten. Unto this end do I create. I have brought up races of men that they might become Gods and that they might become wise creators also, and that they might become one with myself. This is growth. I am the Creator and I have created wisely, though I often weep at thine poor choices and I have sent man into all the worlds wherein there is life, and, oh precious ones, there are many! All who have gone forth from me have returned unto me richer and more glorious for their experiences. There is naught place wherein is the form of man wherein is not the parts of Me. I have divided myself into parts, and I have endowed each part with the part of myself, that which is eternal, infinite, and that part of Me changes not but remains ever unchanged by anything which is or shall ever be. In my own timing shall I bring them all in again, to become again one with Me and they shall all be made whole. From the body of Myself have I created all things, both of the land and of the sea, and of the air; and therein are the things, both of land and sea, and the words become manifest. The things which I commanded appear and they take form, and then I breathe into them, life. They are the animated parts of Me and they cannot be less than the Gods because I have created each after a likeness which I have conceived within my own being. It is the positive that I am and creation is the negative. That part that which ye “see” is the part of Me which is subject to change and which shall return to the elements from which it came. Not a person shall change the Law, nor shall he bring unto Me one part of himself which is of the earth; for I bring back unto Me that which is eternal and that which is of the earth, I shake off. It gives Me great joy to bring back that which I send out for it is this for which I have made provision. Positive/negative, night/day, ah yes, there are two poles of force called “life”, as in darkness and light, soul/spirit and body, LIFE AND DEATH. Many are the labels placed upon the positive and negative, yet there is only ONE AND THAT ONE IS ALL INCLUSIVE, FOR IT IS OF MYSELF AND FROM MYSELF THAT I HAVE CREATED ALL THINGS, AND FROM ONE SUBSTANCE HAVE ALL THINGS COME INTO BEING. So shall man learn these things of Me for they shall be made to sit in the council with Me and We shall again be ONE. There shall come forth a new order upon the Earth, for I have created wisely, and when a portion of Myself offends Me, I cast it off and I begin anew. I shall bind up mine wounds and I shall hear Myself, and I shall be as whole again. It is not with pity for Myself, but that which I have created, that they know not that which they cut themselves off from, nor do they know their own identity. For this do I weep; for they have blasphemed and been disrespectful unto Me and unto Mine other creations. I have wept that I have created man, for he has become foul, and has become so often as the stench of the Earth; he has poisoned his own food; and he has given unto his brother the potion of the asps; and he has been unto himself renegade, for he has not kept his covenant with Me. Most often he has not been an honor unto me upon the Earth. As I sent him forth, he was perfect but he has ceased his perfection upon Mine Earth globe. He has committed all of the forbidden crimes against Earth and brother and has become blind as the creatures that burrow in the ground or live within the darkened caves. I am most often given into shame for that which I created and placed, as man, upon Earth–yet, beloved of Mine, I love without limits what which errs, for that too, is my creation and ’tis for him I created and sent him forth. In due time he shall be purified with fire, and he shall return unto Me as the SONS OF GOD. There shall then be much rejoicing, for it shall be as nothing man has ever experienced, for there shall be much ecstatic rejoicing and alas, much weeping; for it is given unto man to be purified by his tears and his sorrows. So be it that he shall have them so he may know joy. Ah, chelas, in this there truly is wisdom. I say that I am his joy and I am his tears, and by his tears shall he come to know Me. With My own hand shall I then wipe away the tears from his face that he has shed in my name and for My sake. He shall then be whole. Beloved, the events will not be stayed for actually, it is finished. When it shall come upon the Earth that which shall be, it is said that there shall be great suffering, and there shall be. Of all things, the fire and the wind shall be worse, for it shall be mighty spouts of fire and molten lava from the pits of Earth, and it shall be liquid and while with heat, and the winds shall fan it and it shall not cool, nor shall they put out the fire, for it shall burn as it touches, and it shall scorch the Earth for miles–and it shall have enormous velocity. With the blowing winds, it shall be flung unto widespread portions of the countrysides. Those who recognize and have built their hovels against that day can be shielded from the rain of burning fragments but the hovels must be built above the flows in those places near the cinder cones. Thy Mother is releasing the eons of stored corruption from within. The pressures are beyond your ability to measure. It shall be thus in the places where ye are, chela, for I speak now of thy locale for there are others who will speak of other. There shall, within a short duration of time from the first, another within the place where is now the Ocean of Peace (Pacific), and a third within another shorter period of time, within the eastern part of the Atlantic Ocean (the places of Atlantis); and it shall not be within the confines of the land which is above water. It shall force that which is now the bottom of the Atlantic to the surface of the water and there to tower far above and beyond. Go forth and tell mine children how it will be for it will be given unto you to make wondrous visions that they might see and know of these things which will come. Ye will be shown the methods and given unto you that which is needed; my creatures must be informed and given expectation. So be it. Ye who think ye cannot write, go within and pen that which is shown unto thee. Paint the visions for those who have no vision for I shall hold my wrath until warning might go forth. I plead with you, little ones, to heed the assistance of thy brethren whom I have sent unto you. I AM THE LIGHT AND THE LAW AND I WILL SPEAK UPON THESE THINGS. It is fortuned unto man to be within the Law, yet he has chosen to not be a worker within the Light. With the Light which is given unto him he has been thoughtless of his Source and his ONENESS with ME. He has cast himself into utter darkness and degradations while writhing in carnal activities within the great cities having been trapped by the Satanic tentacles of the lie. Now I say unto you that all might come to know in this time at hand. He shall come to be most mindful of this Source and this, within this time for ye are only in the beginning. Thy present generation will see and experience these things come to pass as projected by the great and humble prophets sent to prepare thee. There will come forth a loud cry for peace and man shall frantically seek and search for balance and peace. Some who seek will find it for they will look upon truth; others will not find it for they will accept the lies and call the truth–“lie”. So be it and I speak, for to them which find it shall be delivered up, and they shall be placed within safety where abides peace. Unto those which find not peace, they shall be put into a place wherein they may labor for their bread and wherein they begin anew. They shall have, for their tools, only their bare hands for they shall be again as in the beginning. They shall learn that which is Lawful and that which is profitable unto them; that which is of the eternal. Again, they will not, from the onset, be given to remember their past, nor will they know of their future. So shall they work from day unto day in blindness; for it is the Law that “EVERY MAN UNTO HIS OWN” and with his own hands shall he build up his temple or tear of it down. (Might this sound as a “rerun of the play” to ye chelas who are coming into knowledge and truth?) Rejoice ye ones who have seen the way. I say rejoice! Now I say unto you again, for I said it once before unto my scribes, they shall be as the beasts of the fields, for they have not prepared for the day when they shall be brought in. They have wasted their inheritance and have been unto themselves, betrayers. Oh, beloved ones, the compassion is beyond endurance but so shall it be for all will mature and learn that they might walk in the presence, one with Me. For man will either have chosen the way of the Law or he will have chosen to walk in separation, with the fallen angels. For those who have been mindful of the Law and the Light, and worked therein, they shall be brought into a place of newness wherein is total light. They shall be relieved of all stresses, for it is Lawful to say that they shall be brought into the place wherein I AM; for I have prepared for them a place and I have provided well; and for this day I have provided. At no time do I forget the “little ones” in darkness, for I have reached out within the darkness for them and they have turned away and denied of me and of my messengers. NOT A PERSON SHALL DENY THAT THIS IS SO! THEY HAVE BEEN MOST FOOLISH. SO BE IT AS IT MAY BE, I HAVE NOT FORGOTTEN THEM IN THEIR SLUMBERS YET AND IN THEIR DRUNKENNESS. THEY DO NOT YET REMEMBER FROM WHENCE THEY CAME, NOR DO THEY YET KNOW WHITHER THEY GOEST. I SEND THEE THAT YE MIGHT TELL THEM–THE ULTIMATE CHOICE WILL REST WITH EACH. SO BE IT FOR IT IS SO, AND I GIVE UNTO THESE WORDS THE SEAL WHICH IS OF GOD FOR IT SHALL COME TO PASS IN THIS MANNER AS I HAVE GIVEN IT UNTO THEE. THE TIME HAS COME TO RISE FROM THY BEDDINGS AND CHOOSE OF THY PATH LEST YE CHOOSE WRONGLY. I AWAIT THEE, FOR THE FINAL CURTAIN OF THIS CYCLE IS READY TO FALL–FOREVER. I CALL UPON YOU TO TAKE THE OFFERED HAND OF THY BRETHREN WHO HAVE AGAIN COME AMONG YOU TO LEAD THEE HOME. I URGE YOU TO TAKE GREAT CAUTION, I AM THY GOD, YE TURN FROM MY MESSENGERS AND MINE ONES SENT FORTH AGAIN UNTO YOU AND DENY THESE WORDS, AND YE ERR BEYOND THY COMPREHENSION. SO BE IT. Go Dharma, for ye have finished of thy work this morning. Man must digest a bit of the lead and denial he will be feeling from the words; he has but a short time to be in the deciding. The years dwindle down to such a precious few–even in thy physical time frames. Do not depress yourself as thy job is well done and I cherish of thee for thy faithfulness. Go and rest and allow of the energy to settle and calm; ye are in the care of my most beloved Son in whom I continually rejoice. I place mine hand upon thy head in blessings, ye who stand with me. This entry was posted on November 7, 2010 by Indian in the machine in First Contact and the Second Coming and tagged ESU 'JESUS' SANANDA and ASHTAR: LIFT-OFF INSTRUCTIONS FOR OUR EVACUATION FROM PLANET EARTH. Sananda: Planet Earth has a long life ahead of her, what is presently uncertain is whether she will be able to continue to support life forms that require clean air, clean water, and wholesome food supplies. Sananda: Since the industrial revolution more and more humans have been given the opportunity to live with their basic survival needs easily available, giving them the time and the opportunity to contemplate the meaning of life. 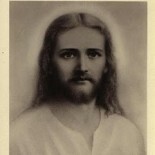 Sananda: May the Christ Consciousness, the Second Coming, continue to be within ALL of you. Jesus (Sananda) Gives Highest Accolades And Praise To Humanity!! Jesus Has Reincarnated As 21 Year Old Male, Not Yet Recognized By Most!! “Jesus” Was A Fabrication Of The Jews, Says Extraterrestrial Commander!! Sananda: Many are finding themselves experiencing inner turmoil at present, as the awakening process intensifies, and more “stuff” arises into people’s conscious awareness for acknowledgment and release. “Jew” Is A Word Not Established Until 18th Century… “Jesus” Not Established As A Word Until 14th Century!! Earth Changes Prophecies Of Sananda Including Coastline Warning, North America Splitting, France And England Going Under Water, Atlantis And Lemuria Rising And Much More!! Sananda: It is all a lie. It is a story, a paradigm, a setting designed to help you learn certain lessons. All of it. His-story. A construct. A stage. A make believe land far away, a fictional play. Mothership Commander Contacts Earth!! Supreme Commander Sananda Delivers Beautiful Message To Earth, From His Mothership, The New Jerusalem!! Important Ascension Update! Great Galactic Event Is Coming, Says Supreme Commander… Which Group Will You Fall Into, After The Event? Sananda: Any belief of separation with self or the Creator can manifest in experiences of lack, suffering, pain, chaos, being unsupported, unloved, unsafe, rejected and so forth. Supreme Commander For Planet Earth, Sananda (Jesus) Delivers Surprise Message!! Jesus’ Complicated Return Explained!! 2% Of Humanity Is A Christ Walking Earth!! 41% Of Humanity Is Spiritually Awakened, of Those 5% Embody Christ Consciousness… How To Visualize Your Way Out Of A Unfulfilling Reality!! Great Event 56% Chance Occurring In Next 3 To 6 Months, Says Master Teacher!! Major First Contact Update!!! Galactic Spaceships Are Gonna Land Soon!! Pleiadians First For Major Landing!!! Stargate SG-1, Babylon 5, Star Trek and the Matrix Trilogy Provided Major Clues!! Feel The “Great Call” Within You Now!! Religion Is Opium For Masses, Mostly Too Drugged Up And Brainwashed To Perceive And Receive Jesus!!! Jesus Brings Messages To Earth Again Via Live Channeling!!! Sananda: It is time to bring out your wisdom now dear children on Earth – your ancient wisdom of love and truth. Sananda: The soul wants to live! During this time, I Sananda, am with you extra much. Sananda: Attempting to model yourselves on someone else is to have lost your way. I am Sananda and I love you. I know of your paths, I know of every little step you take. Undeclared Civil War In America, Mass Arrests Of Khazarian Gangsters, Lasers Used In California Confirmed By Officials, Ongoing Hunt For Flesh Eaters And Torturers, Sellers Of Human Flesh Under Investigation… Ben’s Update Says It All! You Are The Light Says Sananda! Sananda: You are bravely stepping into freedom and showing everyone that you can flourish, you can dance and laugh, you can be creative and in joy in the middle of the chaos and destruction of the old paradigm. Dearest hearts you are flowing with the Mother’s Dream and you are doing what you promised eons ago, being of the greatest inspiration to everyone. Sananda: All are One, therefore, whatever anyone does affects everyone else! All who are presently incarnate – over seven billion people of myriad races, colors, and creeds – are on Earth at this moment because they volunteered to assist in clearing from humanity all that is not in complete alignment with Love. Sananda: You are overshadowed by the actions of the unbelievers. The unbelievers who turn away are conviction. Those non-believers who question and often express themselves judgmentally. Sananda: Most humans spend their lives looking for love by saying and doing things that they think will cause others to love and appreciate them, and by trying to avoid the inevitable, death. But, as you are all well aware, that just does not work. Sananda and Mary: Your beautiful third eye, your clairvoyant eye, your all-seeing eye will now begin to open, and you are able to see most clearly your pathway and your destiny. And you will be able to feel this energy move through you, at such a rapid pace that it may be a bit surprising how clearly you receive your clarity and your knowingness, and some will have visions, and others will simply know. Sananda: I have been portrayed too often as a saint, an enlightened one who knew everything. That was not so, for I have known deep doubts and fears. That was part of my journey, as it is part of yours, so see me in my imperfection, my brokenness. Sananda: I respect what you do and who you are on Earth. This is one of the darkest places to be incarnated as a soul in a human body. Sananda: If the dream is sufficiently strong and alive it will manifest in just a few moments. Sananda; If an “energy” tells you everything you “want” to hear, be highly suspect of that mouth! Almost everything coming forth in truth is that which NO ONE WANTS TO HEAR! Sananda Confirms Two Timeline Split! 144000 Creator’s Lightwarriors, Now On Earth, Will Be Removed For “Magnificant Confrontation” Of Christ And Satan, And Then They Will Return! Sananda Reveals Revaluation Scam On Lightworkers Who Unknowingly Funded Black Ops And War, Under Guidance Of George Bush Sr.
Sananda: Life inside of you – in its free and wild manifestation – becomes cut off and narrowed down. It is opposed, even attacked, by thinking. Sananda: Compared to your true self, you are half dead! Sananda: You are the fulfillment of my dream. I will come and I will join you and we will resurrect together and bring new life, new form, new promise, new tangibility to this beautiful planet. And we will do it hand-in-hand, heart-in-heart as the brothers and sisters that we are. Sananda: ‘Let the Peace come to all the Earth, and let it begin with me!’ Each and every one of us has that Mission. Sananda: Many of you feel unloved. Growing up human is difficult because the illusion, in which you are experiencing that personal evolution, was built to enable the experience of separation to be lived. And separation is extremely painful. Sananda: I speak now of the collective: many are becoming disillusioned; many are becoming bewildered; many are becoming tired of all the confusion that the three-dimensional illusion continues to bring. But those of you who know this is an illusion can now move beyond it. You can now move into the creative ability that you each one have — have always had. Just come into it now. Top Extraterrestrial Commander Hands You Your Mission! Do You Accept It? Sananda: This is a pivotal moment in human history. Sananda: Many of you are doubtful, you think you see no signs of awakening but only signs of increasing chaos and confusion leading inevitably towards catastrophic disaster for Earth and all the life forms she so lovingly supports. Know that this is not the case. Sananda: The higher energy has now taken over Earth and all that is lower is now forced to the surface to be seen and disappear. This happens in the large body as well as the small body. The user now discovers all negative thoughts where they need to be seen, accepted and then released. Everything is old garbage that you now can let go of, dear children on Earth. Sananda: Ye are entering the greatest transition this planet has ever known and what ye think, what ye do, and what you don’t do will be measured at that final day of judgment between you and God alone, none other, no excuses, no masks, no place to hide. PONDER IT, CHELAS! Ashtar Command And Sananda Cannot Be Discredited… Here’s Why! Sananda: You are born into a reality that has become disconnected from Reality. Sananda: Man locks out all possibility with fear, he becomes immobilized, stagnant, and worst of all, in a true state of fear, he does, by design, become very alone. Sananda: Know thyself and you will know your GREATEST enemy! YOU are the only limitation who stands in the pathway between excitement and mediocrity. Sananda: When you become more CONSCIOUSLY aware of how you are focusing your energy (thoughts and desires), you will begin the first step necessary to taking control of your destiny. You will find that you spend less time sitting around waiting for something to “happen” and more time creating the life experiences that you want. Sananda: Ready thineselves to receive the rewards for thine service. Think not that you have served in vain, for the RECORDS OF HEAVEN HOLD ALL. HAS IT NOT BEEN SAID, BY YOUR WORKS SHALL YE BE JUDGED? Will your work hold the test of time? Will your work have an impact on a transitioning planet? Will your work have impact on another single human being? Does it matter? Indeed, the work matters greatly. READY YOURSELF TO RECEIVE FROM GOD THE REWARDS OF SERVICE! SO BE IT. Sananda: Please come to my open arms for support, encouragement and love, anytime you want. Our relationship is very special to me, and one that I treasure. Sananda: Others are NEVER the cause of YOUR inner emotional states of feeling. However, others can influence your emotional state just as you can influence theirs. To the extent you allow others to influence your emotional state, you are left “vulnerable”—but so too are you left open for great potentials of joy, love, and happiness. If your purpose is to help others, this implies interactions with others, and thus a certain necessary amount of openness in order to share with them the gifts of kindness and joy you bring into the physical realm. Sananda: I express in this way through this receiver, for she is in training for a mission she does not completely comprehend in her own mind. For this reason she experiences a great deal of anxiety about her own choices and decisions. Questioning her every move now to self comes her questions to self: Is “this” the “right” choice? Or, is this the “rightest” choice? Does this sound like someone else out there reading this? Sananda: You see, this is the powerful irony in the experience of life on Earth. It brings out the courage, the conviction and the highest level of dedication to the Light when people are put in the most difficult situations. Great Teaching From Ashtar And Sananda: Forgiveness Is The Absence Of Judgment!!! Sananda ~ Incredible Opportunity Ahead by Jenny Schiltz We are asking that each of you suspend the beliefs on how you think this transition will be. As each of you are creating your own realities so too do you create your own limitations and disappointments. When you allow yourself to be in the flow of source energy, with all expectations removed, that is when you will be in amazement of all that will come to you. When you have created within your mind an acceptable version of reality, of how things should proceed, you may then take yourself from the flow of creation energies and experience disappointment. Allow all to unfold in its own timing with deep trust and patience.